There are few things more overwhelming than finding a flea infestation in your home. Not only do you feel bad for your furry friends, you worry about these critters biting you and your family. On top of that, nasty chemicals and toxic products are frequently suggested to eliminate the infestation. Fortunately, you don't have to use harmful chemicals to rid your home of these pests. There are several home remedies that can help deter fleas and eliminate them if they've hitched a ride on your pet's coat. Read on to find out more about fleas and how you can get rid of them naturally. 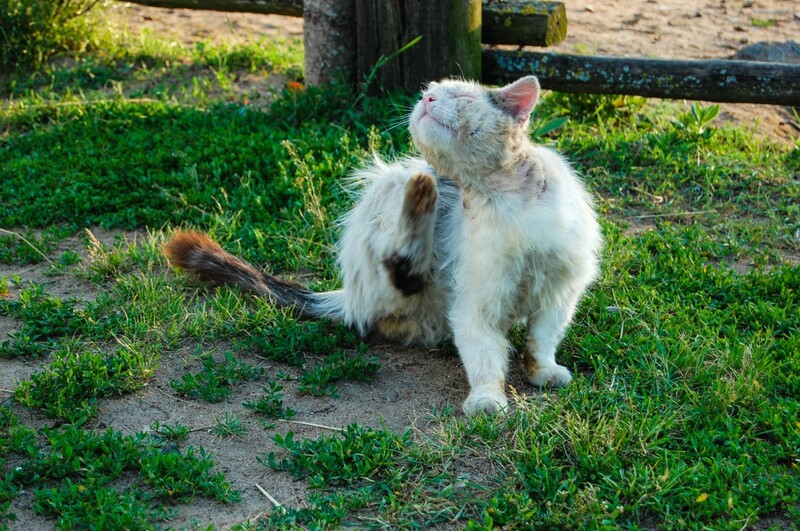 While fleas can be a pet owner's worst nightmare, they are in fact fascinating creatures. Fleas have the highest jumping ability in relation to their size. In fact, fleas can jump up to 80 times their own height. Not only can they jump extremely high, but they also have endurance. A typical flea can jump 30,000 times without taking a break. They're incredibly strong for their size and can pull 160,000 times their own weight. They also lay thousands of larvae in their lifetime, making them a particularly difficult pest to deal with. The problem with fleas is that their bites can cause severe itching, redness, and irritation. Fleas don't just bite pets they can also feast on humans, compounding the problem of a flea infestation. Fleas are classified as parasites, meaning they feed off other organisms. Fleas are typically nocturnal animals meaning many of your home remedies will need to be used overnight to be effective. To target a flea infestation, you can contact a pest control center or try these home remedies first. One of the best ways to get rid of fleas is to vacuum your home thoroughly. If you have a severe infestation, it's also a good idea to steam clean carpets and other linen surfaces. Make sure to wash clothing, sheets, and towels in hot water and remove all potentially infested items. Soak pillows and other linens that can't be washed in boiling water. Anything that cannot be washed should be packaged in sealed plastic bags and removed until decontaminated. For an even more effective remedy, sprinkle baking soda along infested areas before vacuuming. The baking soda deters fleas, making them head to the surface where you can vacuum them up more easily. You can also sprinkle salt throughout your home one day before vacuuming. The salt causes dehydration in fleas and makes them more susceptible to death. Some people recommend using boric acid, but it is highly toxic to pets and should generally be avoided—even if it is effective in killing pests. Make sure to empty the vacuum bag in an outside trash can. If you dump it in the kitchen or bathroom trash, the fleas may be able to make their way back into surfaces such as carpet and your pet's fur. Diatomaceous earth is one of the leading natural remedies for eliminating cockroaches. It's also extremely effective when it comes to flea control. Diatomaceous earth is made up of fossilized remains of algae. Make sure to use food-grade diatomaceous earth as the normal kind can cause lung irritation. Sprinkle the diatomaceous earth in the infested area including on pet bedding and leave for 48 hours. The diatomaceous earth dehydrates and kills fleas. Run the vacuum after the 48 hour period has ended. You can also add diatomaceous earth to your dog or cat's food to kill fleas buried in its fur. Check with your veterinarian for the proper amount to give your pet. In general, experts recommend giving large dogs one teaspoon of diatomaceous earth per day. A flea comb is a specially designed brush that features finely space teeth that can remove fleas and their larvae from pet fur. It's best to brush your pet outdoors so you don't accidentally dislodge fleas into your home carpet or flooring. Fill a bucket three-quarters full with water and dish soap. Use this mixture to kill any fleas you find in your pet's fur by dipping the brush regularly. Repeat the brushing two or three times to ensure you have trapped all of the fleas. Create an all-natural flea deterrent spray by combining a few ingredients. Mix one cup apple cider vinegar, half a cup of water, half a cup of lemon juice, and three tablespoons of witch hazel in a large spray bottle. Spray the mixture after vacuuming the infested area. Make sure to hit areas such as box springs, decorative pillows, and curtains to eliminate the fleas. Many of these remedies work to kill adult fleas. To target a severe infestation, you'll also need to kill flea larvae. Lemon juice is an effective flea treatment for eliminating larvae. Fleas lay their egg son hard surfaces which should be washed down using a mixture of lemon and water. Use a spray bottle or soak a towel in the mixture and wipe down all hard surfaces. You can use the same mixture to mop hardwood and tile floors. One way to kill fleas is to create a flea trap. Mix warm water and dish soap in a large, flat tray. Try to use a dish that has sides that are lower than ankle height. Most fleas can jump 6 to 7 inches high so any container taller than this will be ineffective. The thick viscosity of the dish soap traps the fleas and they drown in the water mixture. Replace the mixture every day for best results. To kill fleas on dogs, you can rub coconut oil directly on their fur. Coconut oil is non-toxic so it's not a problem if your dog licks his fur after the treatment. The oil causes fleas to suffocate and then you can remove them using a flea comb. Rosemary and rosemary essential oils are effective natural flea repellents. Fleas detest the fragrance of rosemary and tend to avoid areas where the scent is present. You can sprinkle rosemary powder around your home and on your pets or diffuse rosemary essential oil in a diffuser. Other essential oils that repel fleas include tea tree oil and peppermint oil. Like essential oils, fleas are natural put-off by a variety of houseplants thanks to their chemical makeup. Some of the best flea-repelling plants include lavender, chrysanthemum, and spearmint. Keep a few of these plants in different rooms throughout your home. Add one to the entryway to encourage fleas to find a new place to live. Cedar chips are another popular flea repellent. Sprinkle these wood chips near the entryway to add décor and deter fleas from entering your home. One of the best ways to prevent fleas is to have your pet wear a flea collar. There are two types of flea collars: those that prevent fleas and those that treat fleas. Flea prevention collars emit a gas that fleas find repulsive. These types of collars help prevent infestations from occurring in the first place. Flea treatment collars use medications to kill fleas within your dog's fur. These are particularly useful for regions where fleas are prevalent. When it comes to flea prevention and killing fleas, there are several natural ways to target the problem. Natural ingredients such as diatomaceous earth, salt, and baking soda can help weaken and kill the creatures so you can vacuum them up quickly. Other natural ingredients such as dish soap and essential oils can be used to kill fleas and end your flea problem. All of these home flea remedies are non-toxic so you don't have to worry about harming your pets or family members. Try a few different remedies to find the perfect flea control recipe for your home.